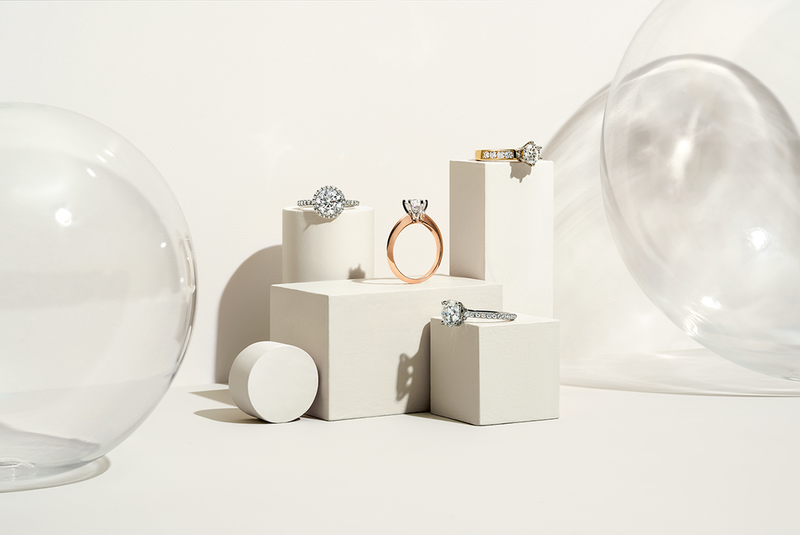 Couple Lab-Grown Diamonds — The Wedding Co. The very first luxury lab-grown diamond ring brand. Our journey to find the ideal diamond ring started out like many others… when our co-founder Jeff set out to make the second most important decision of his life – choosing the ring. What should have been a special, joyous and memorable occasion was instead full of stress, uncertainty and pressure. The jewelry powerhouses had beautiful options but with a steep up-charge for brand premium. Big-box retail stores didn’t seem to live up to the occasion. The online marketplace was confusing and overwhelming. And the guy-who-knew-a-guy on Jewelers' Row offered the 'backroom deal' which left an unsettling pressure. There had to be another way. A better way. So we dug deeper. We spent months researching and learning the nuances of the diamond business. And what happened next was game-changing. We came across a major innovation that was about to forever change the diamond industry for the better. We found, it was now possible to grow a 100% real diamond in a lab. Starting from a sliver of a pre-existing diamond and grown in conditions that replicate the environment underground, these diamonds are identical to mined diamonds in composition, the only difference being their origin. All diamonds, mined or grown, go through the same process. Once mature, they are in the form of a raw stone that needs to be cut and polished to determine size and quality. By the nature of this process, no two diamonds will ever be alike, which is what makes them so special. Just like mined diamonds, each lab-grown diamond is certified by the International Gemological Institute to determine the carat, cut, clarity and color. We thought, how did people not know about this? We knew we were onto something... We realized that once the world knew about this new way of growing a 100% real diamond, it would change the industry and customer experience forever. And it has. Thus, Couple was formed. Founders Jeff and Alan partnered with the lab, brought in a renowned gemologist and a jeweler with 25 years of experience creating rings for the top luxury brands. 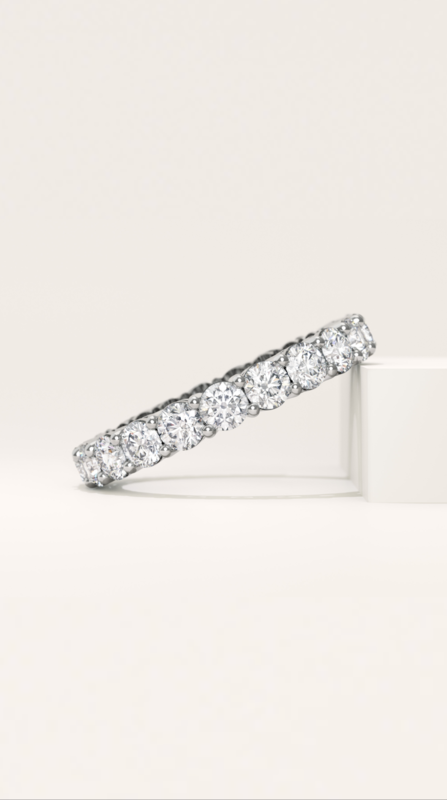 We put a meticulous selection process in place to ensure that only the best-of-the-best lab-grown diamonds would be considered Couple diamonds, and began crafting our 4 families of ring styles. Better yet, because these diamonds are outside the so-called ‘diamond cartel’ it allows us to deliver a luxury-brand quality at an incredible price. Not to mention a socially and environmentally responsible product. What started as a personal quest to find answers, grew into a company that is changing the industry. We’re embarking on a better way. Creating diamonds that live up to the moment. Diamonds people can truly feel good about. At Couple, we provide our customers with the highest quality rings, for the best value. We believe in a stress-free experience so you can spend more time focusing on the ever-important proposal. It's the ultimate celebration of a shared life – a wedding brings together family and friends from the many stages of one’s life and relationship, all to honor this important moment and what it signifies for the couple. The rings symbolize that commitment and lifelong partnership, and here at Couple, we’re thrilled to play our part in that love story. A modern take on classic and refined style. 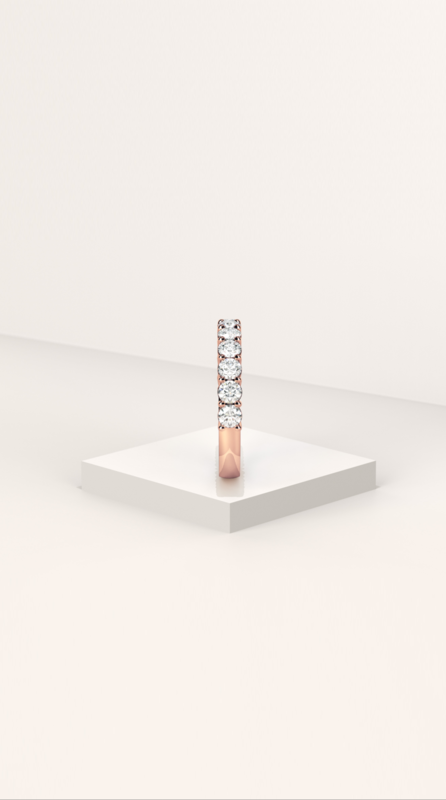 Couple.co simplifies the ring buying process, eliminating the stress of the mined diamond marketplace. We offer only one luxury level of diamond that is flawless to the naked eye – G color, VS2 clarity and Excellent cut for maximum brilliance. Identical to mined diamonds down the atom, all Couple lab-grown diamonds are cultivated above ground in the same conditions found within the earth’s core – our diamonds are 100% conflict free, sustainable, and ethically sourced. We’re also able to offer 30% larger stones by price in comparison to a mined diamond. We believe in celebrating a shared life – and that partnership begins at the start of your experience with our Diamond Concierge. Whether you’re looking for an engagement or wedding ring, we’ll be there for you at every step of the process. We recently launched our full collection of complementary men’s and women’s wedding bands – all available now on www.couple.co. Our one-on-one Diamond Concierge service offers larger carat weights or different diamond cuts. Stay tuned for all-new fancy shapes and more exciting news as we head into Spring 2019! Sign up for our newsletter for Couple.co updates, trend reports & more. Find out more about Couple on their Instagram Page Couple.co.